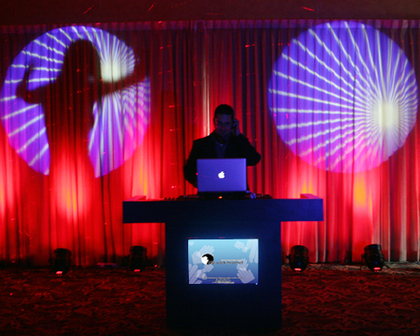 DJROCKHAND is a dj’s, lights, and audiovisual services company registered in the Puerto Rico Department of State with more than eleven (11) years of experience, offering our customers a world-class service and satisfying all their musical and audiovisual needs. 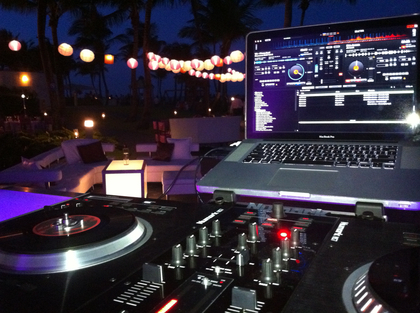 We have a variety of music for all kinds of special events such as weddings, sweet sixteen’s, business meetings and disco parties for teenagers, among others. In advance our customers can make a list of their favorite’s type of music (including specific songs) and we will also have petitions available the day of the event. Our system is extremely modern and compact. That’s means, that it will never affect the decoration of the room or local. All our music is recorded in digital format and stored on laptops. This allows us to please our customers with their favorite songs in just seconds. It's like having a radio station at your fingertips at all times. The sound equipment that we installed in our customers activity is related to the size of the room chosen by them, this permit us create the perfect acoustic sound for the place and your event. 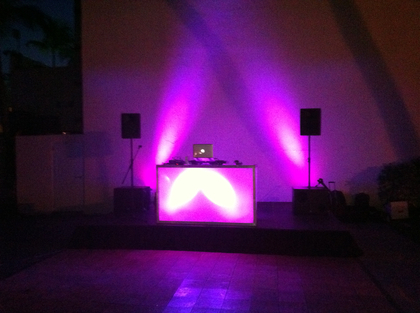 They provided the reception music, and lighting (reception and ceremony). 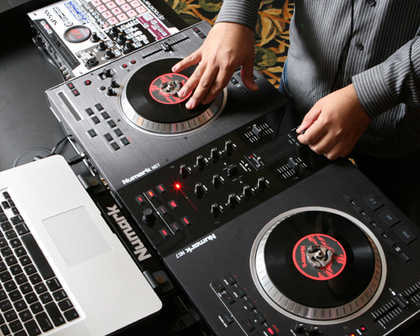 DJRockhand did a great job mixing and transitioning the music from one set to another. Very professional. 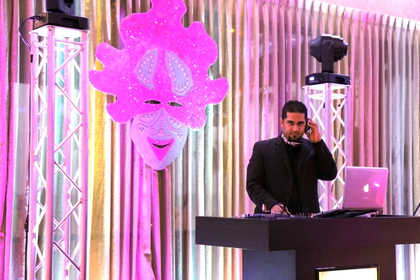 DJ Rockhand did an absolutely amazing job during our December wedding! They MADE our reception what it was...A BLAST!!! They kept the music flowing and our guests up dancing all night long, from literally the beginning to the end. A lot of DJs have lulls in the night where they lose people on the dance floor due to poor song selection...well this is NOT the case with DJ Rockhand! Every song selection was seamlessly put together to perfection. We couldn't be happier with them! 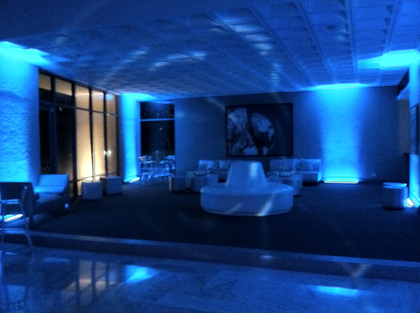 All of our guests, old and young, loved every moment of the reception and danced the night away. 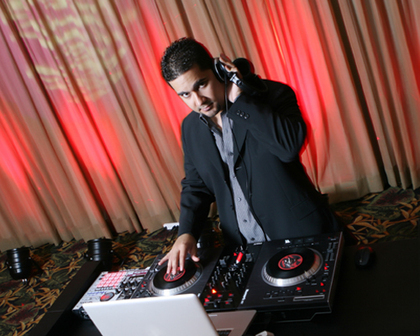 We would HIGHLY recommend DJ Rockhand for any event, especially for wedding receptions. Fantastic job! They did a great job! Their communication was amazing. They stuck to our DO NOT play list,they had all our songs by the artists we wanted and did a fabulous job with mixing up the music genres and kept the party going past the allotted time. Can't express how happy i was that they made my beach ceremony, at the very end of the beach work! I could hear the music as I had my long walk with my dad to the alter, all the guests could hear the reverend clearly on the mic. My main concern was getting sound for the ceremony to carry through since the DJ set up was far back in the house. 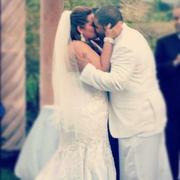 DJ Rockhand made sure the ceremony was just as important as the wedding! He blended the music beautifully!!! The music for the reception had everyone dancing the whole night! He played exactly what we requested, how we requested it. His Master of Ceremony was awesome too! Everything went as requested. I highly recommend him for any occasion! 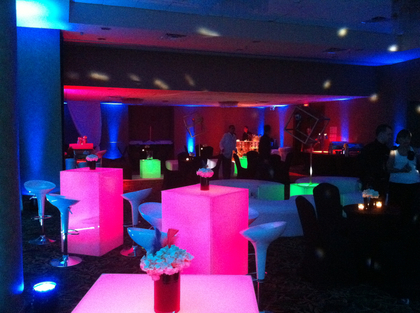 dj rockhand and Keyla were an absolute joy to work with. Very prompt, very patient and very professional! They were always accessible and able to answer any questions we had during the selection and booking process. They were able to accommodate changes (adding sound and mic for our outdoor ceremony) – and even took a last minute song request from me that I remembered while I was having my hair and make up done the day of the wedding! We submitted our songs via spotify playlists – they had everything exactly as we wanted it. dj rockhand was amazing – we had a small but committed group of dancers and he made sure they stayed dancing up through the last song of the night. He read our crowd, worked in guest requests, and was an absolute master at mixing song after song. Do not hesitate to book dj rockhand – he will make sure everything is exactly as you want it and that your guests will dance all night! Dj Rockhad was a blast!! I can't thank him enough for the amazing job he did!! I'm colombian, my fiance is haitian and had guests from all over USA, so we needed a mix of every music and were a little concerned on having everybody on the dance floor! But DJ Rockhand really knew how to mix the music at the right time. Nobody seated during the whole party!! He and the mc that works with him were amazing!!!! best vendor i had. They were great and really professional! Throughout the year of the planning phase, Keyla (who is also the MC) kept in touch with me and offered help with additional things. She even recommended our Videographer, as well as suggestions for guitar players. 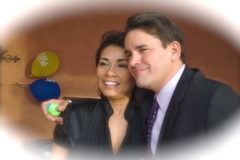 She was very sweet yet professional and did a great job Mcing our bilingual wedding. 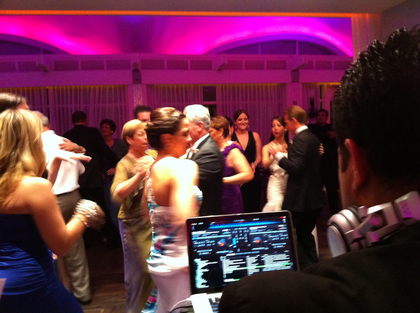 Our guests danced all night long... from the youngest ones to the oldest ones... they played something for everyone!! The GOBO with our initials that they provided was beautiful, and everyone commented on the booth with the integrated LCD screen with picture of us. They were definitely unique touches to our reception. If you are looking for a DJ that will provide you with phenomenal service from the first point of contact, then search no more... Luis and Keyla are it! 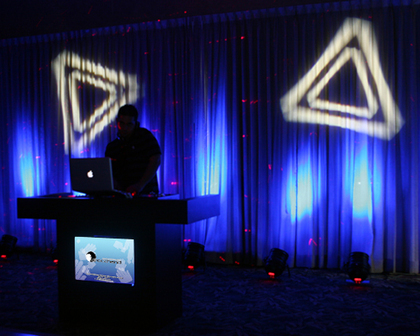 The DJ can make or break your reception, and they truly helped make ours unforgettable!! 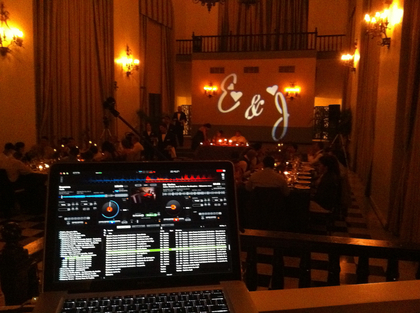 Our wedding was in August 2010 and we used DJ Rockhand. They where absolutely amazing! Their prices were reasonable and services excellent! 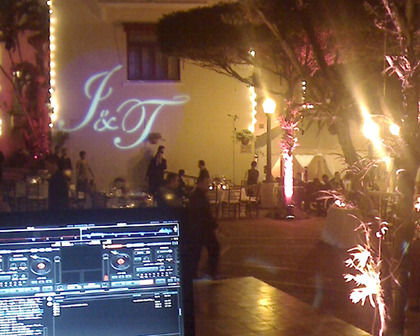 They played exactlly what we asked for and asked our permission before playing special requests from our guest. We would highly recomment them for your wedding. Keyla and Luiz were fantastic! They provided the music for my ceremony, cocktail hour and reception. They played everything we wanted and nothing we didn't. We didn't have to be overly prescriptive- they really understood what we wanted. Our guests were literally on the dance floor all night! 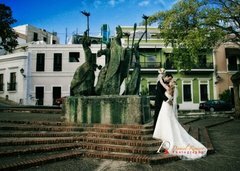 They made our wedding! Luis Ortiz (DJ Rockhand) was an AMAZING DJ. He had everyone on the dance floor all night. We told him the kindof music we liked and he played everything we asked for and nothing we didnt like. I highly recommend them (his girlfriend/assistant speaks perfect English and can translate).